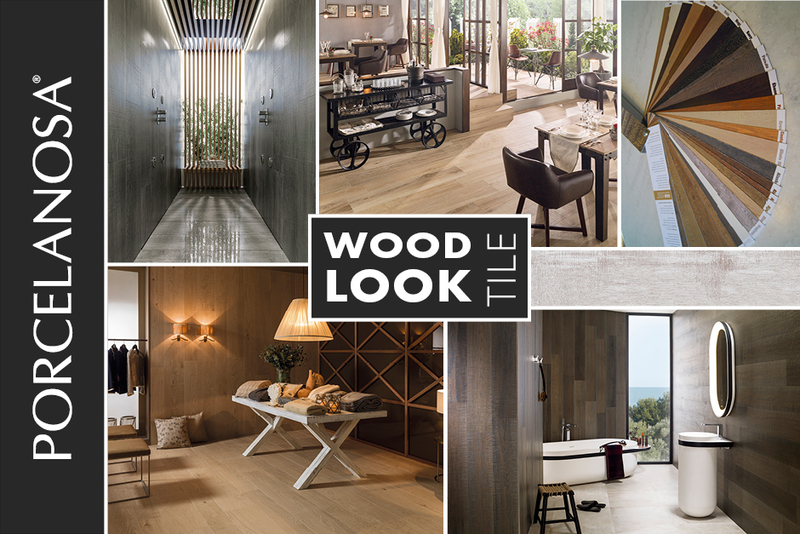 If you want the look of wood flooring without the maintenance, consider Porcelanosa’s PAR-KER wood look porcelain tiles. PAR-KER surface finish is unaffected by the sun, with no need to apply any type of treatment or follow a special maintenance procedure. Its low porosity makes it the ideal material for wet zones such as bathrooms and kitchens. 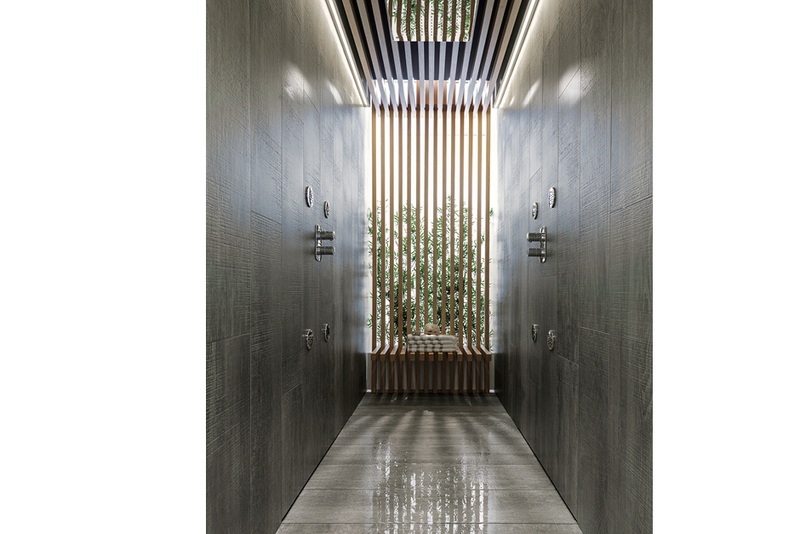 Furthermore, Porcelanosa manufactures versions with an anti-slip surface of its wood effect tiles that are ideal for outdoor use, for example in terraces or poolside areas. In addition to its resistance, durability and easy-to-clean properties, this naturally inspired ceramic material offers a wide range of decorative possibilities. HOUSTON TAUPE has a pleasant texture and brushing affect that portrays a natural timber appearance. This tile is the perfect match for a cozy and warm atmosphere. The Houston wood look tile is also available in six other colors: Ash, Natural, Noce, White, Cottage and Copper, all of which precisely resemble the graining and textured look of wood. The Ascot Collection, featuring ASCOT ARCE brings back the natural beauty of wood from old 19th century manor houses. 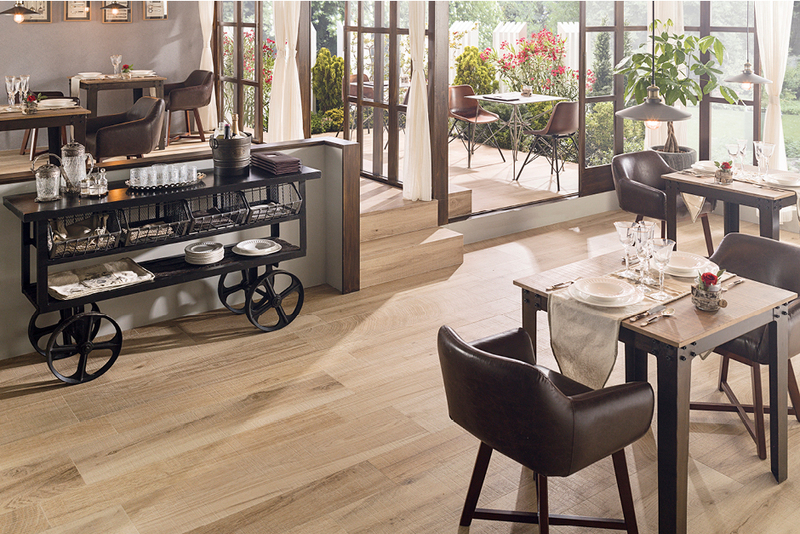 This porcelain tile has an aged wood appearance designed to create moving sensations. 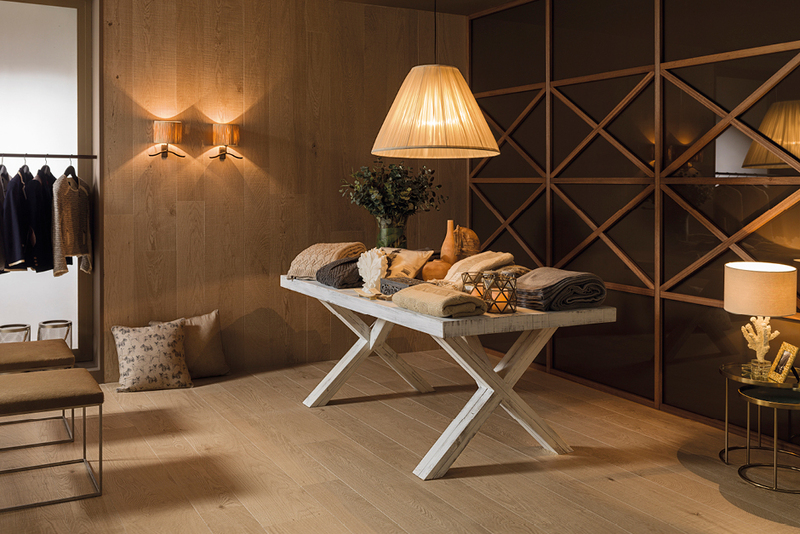 The collection simulates old pieces of restored and treated parquet. The colors in this collection were carefully chosen to boost the warmth of the wood in any setting. The intensity of the Roble and Teca finishes, the Olivo greenish ochre, and the Arce and Grey dusty shades enhances the natural beauty that the passing of time has revealed in its appearance. Representing the purest roots of natural materials, CHELSEA ARCE brings you closer to natural wood thanks to its matte finish and carefully textured and embossed presentation. Featuring quality, durability and high resistance, this ceramic wood look tile is perfect for home or contracted projects. ROTTERDAM MOKA is one of two colors in the Rotterdam ceramic wood collection. Moka, in a dark wood, and Rotterdam Taupe, a greyish tone, both have a slightly worn appearance and are suitable for an elegant atmosphere.